Gwyneth Paltrow is an Academy Award–winning actress, the author of four New York Times–bestselling cookbooks, and the founder and CEO of the lifestyle company goop. She was born on September 27, 1972, in Los Angeles, California, to television producer Bruce Paltrow and actress Blythe Danner, a Tony Award winner and two-time Emmy Award winner. She is married to television producer, writer, and director Brad Falchuk, a Golden Globe winner and two-time Emmy Award winner. Paltrow lives with her two children, Apple (age 14) and Moses (age 12), in Los Angeles. For the first chapter of her professional career, Paltrow was focused on acting. In 1999, she won best actress at the Academy Awards, the Screen Actors Guild Awards, and the Golden Globes for her role in Shakespeare in Love. She’s also received many nominations for her acting and singing talents, including best actress at the Golden Globes for her role in Proof in 2006 and Best Spoken Word Album for Children at the Grammy Awards for Brown Bear & Friends in 2009. In Country Strong, she performed the song “Coming Home,” which was nominated for best original song at the Academy Awards in 2010. In 2011, she received an Emmy Award for Outstanding Guest Actress in a Comedy Series for her role in Glee, and in 2013, she earned an Emmy nomination for Outstanding Informational Series or Special for her part in Stand Up to Cancer. Other notable film credits include Seven, Emma, Great Expectations, Sliding Doors, The Talented Mr. Ripley, The Royal Tenenbaums, Sylvia, and Marvel’s Iron Man and Avengers franchises. Beyond acting, Paltrow has shared her love of food with readers and home chefs in four New York Times–bestselling cookbooks—starting with My Father’s Daughter (2011), followed by It’s All Good (2013) and It’s All Easy (2016), which both hit number one. 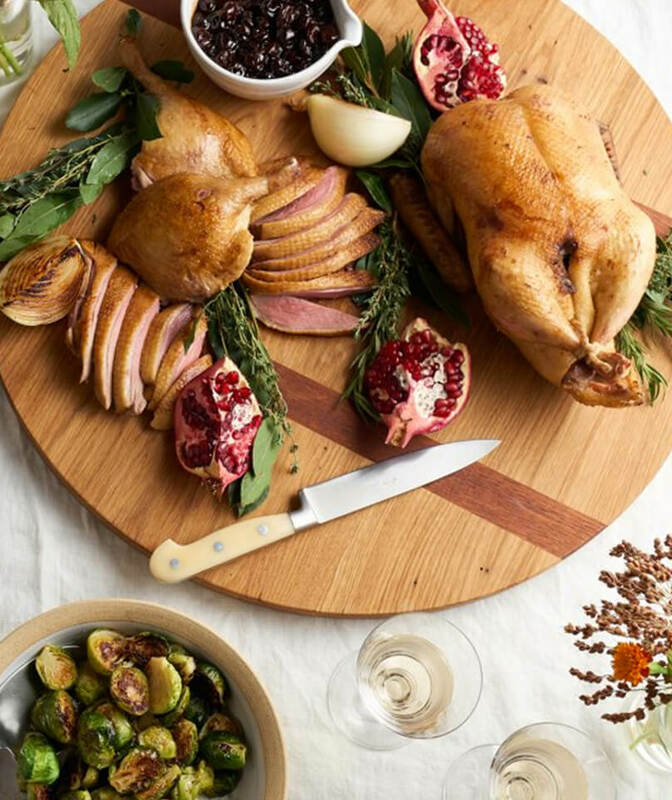 Her latest cookbook, The Clean Plate: Eat, Reset, Heal, was released by goop press on January 8, 2019. In the kitchen, Paltrow has become known for her delicious family recipes and healthy, nourishing meals that make eating clean less daunting and more fun. Now Paltrow spends most of her time as the CEO of goop. 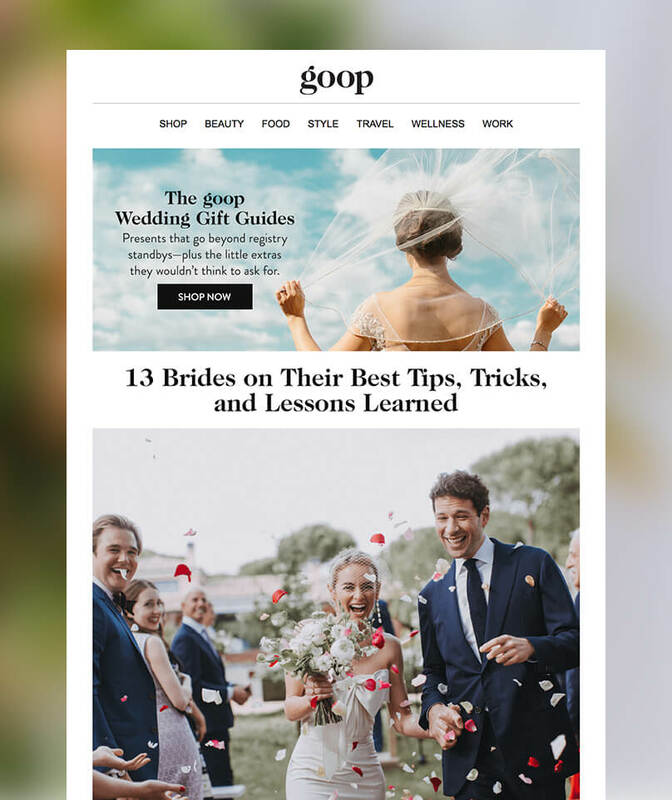 Founded by Paltrow in 2008, goop was originally a lo-fi weekly newsletter, intended for family, friends, and friends of friends. A decade later, it’s grown into a 200-employee enterprise and a global brand that’s recognized for starting important conversations and pushing issues and ideas into the mainstream. goop makes its own branded lines of clothing, skin care, fragrance, vitamins and supplements, and body products. 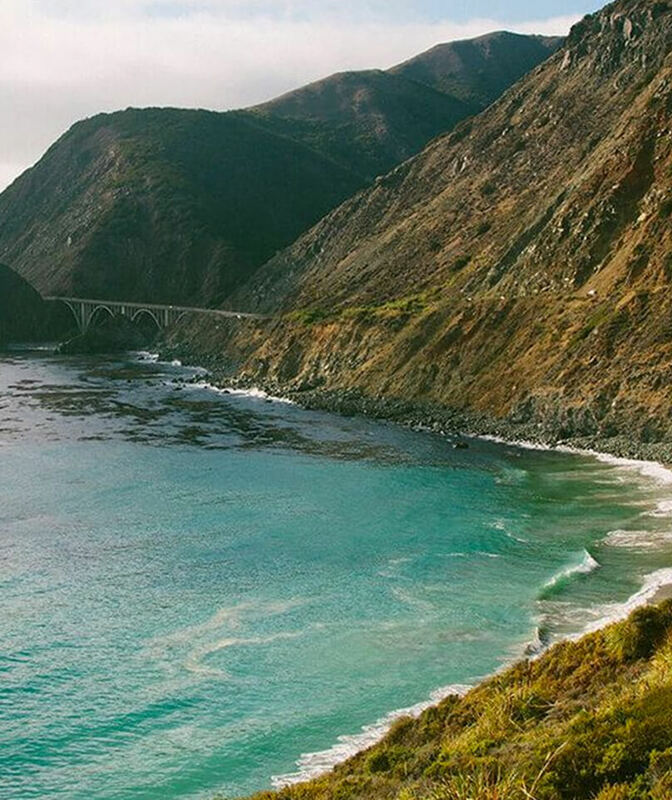 The robust content on the site focuses on wellness, food, style, work, and travel. goop’s city guides offer an insider’s perspective on the very best places to eat, shop, stay, and explore in the world’s most compelling destinations. Some of goop’s recent ventures include the book imprint goop press, goop Lab (the brand’s three permanent stores, located in Los Angeles, New York City, and London), the growing wellness summit In goop Health, a host of experiential pop-ups, and The goop Podcast. Activism also plays a big role in Paltrow’s life. She’s involved with the Bruce Paltrow Oral Cancer Fund, a collaboration with the Oral Cancer Foundation that’s designed to commemorate her late father and help those in need. She served on the board of the Robin Hood Foundation for ten years, an organization devoted to alleviating problems caused by poverty in New York City, and she’s a global charity brand ambassador to the Frederique Constant Foundation, which directly supports the educational projects of the DonorsChoose organization. 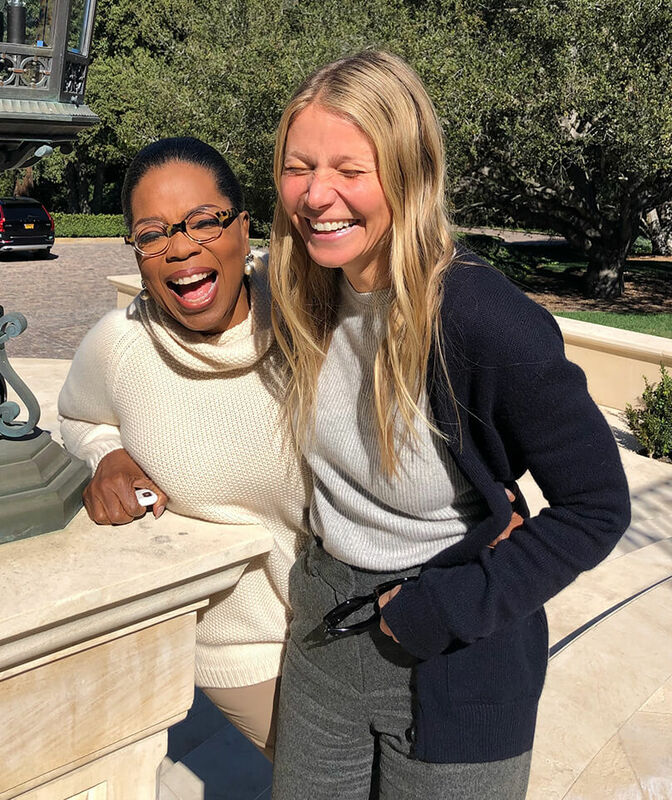 Finally, Paltrow is an advocate for clean beauty and label transparency, two pillars of the goop brand. goop’s expertly curated city guides—vetted recommendations on where to eat, shop, stay, and play around the globe—packaged in one easy-to-use, access-it-anywhere app. Easy weeknight meals, everyday detoxes, no-cook cooking, cleaned-up snacks, and GP's famous morning smoothie—it's all here. A twice-weekly update tightly curated with recipes, health and wellness stories, styling and beauty how-tos, travel guides, and so much more. Listen in weekly as GP and goop’s chief content officer, Elise Loehnen, work their way through big questions with leading thinkers, culture changers, and industry disruptors. 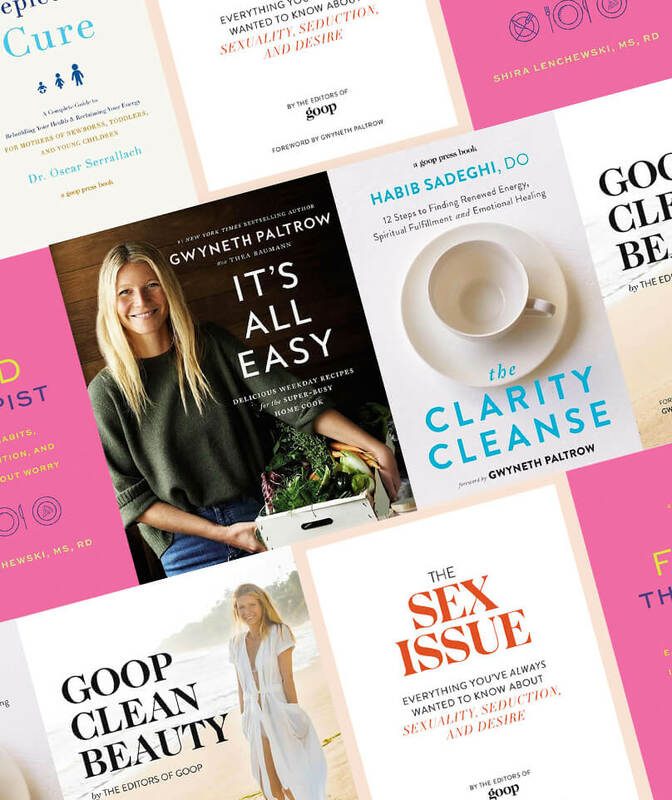 goop's book imprint shares the wisdom of go-to doctors, authors, researchers, gurus, and editors on all things health, beauty, and wellness. 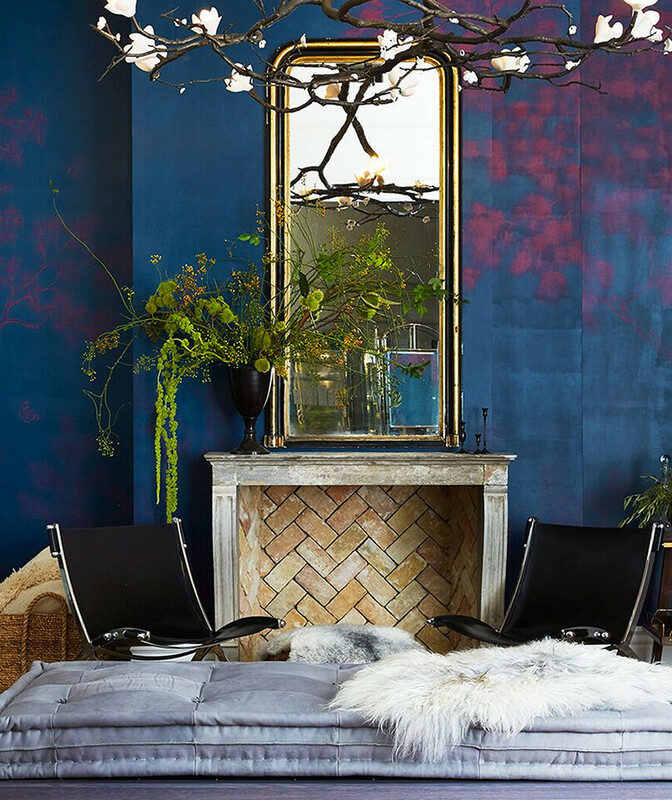 Pop-ups, goop GIFT, and two permanent brick-and-mortar stores on opposite coasts—here’s where to find every real-life manifestation of the digital world of goop. © Gwyneth Paltrow, 2018. All Rights Reserved.